Mila Kunis debuted this ink black wavy bob at the 2018 Billboard Music Awards. Edgy bangs complete the overall look, a bold change from the Bad Moms actress’ formerly long, layered tresses. 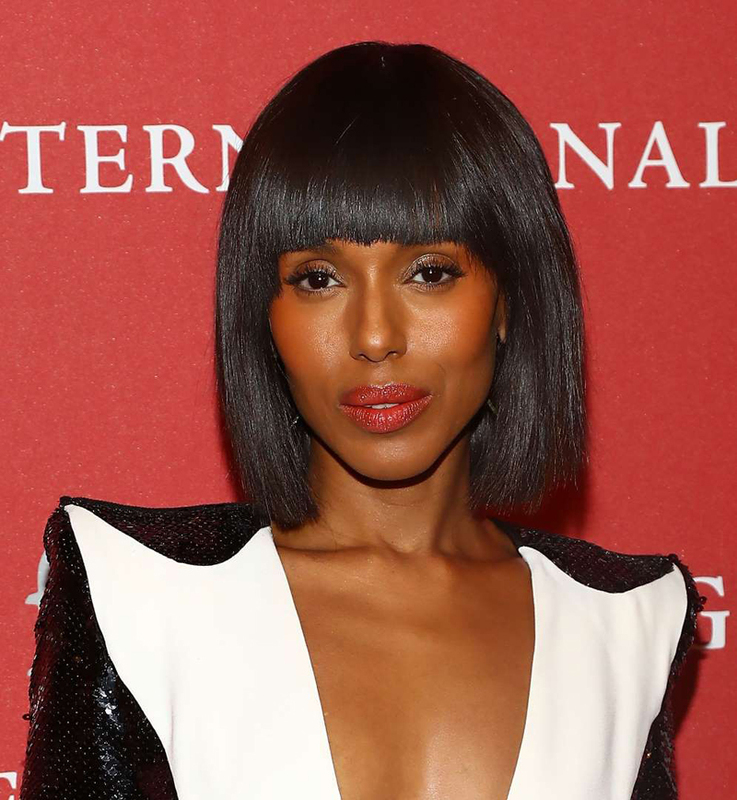 Kerry Washington is no stranger to a chin-skimming bob, but this sleek bob (with bangs to match!) adds an extra dose of chic to her already killer style. Julianne Hough changed things up when she traded her fiery red long locks for a platinum blonde bob paired with choppy bangs. 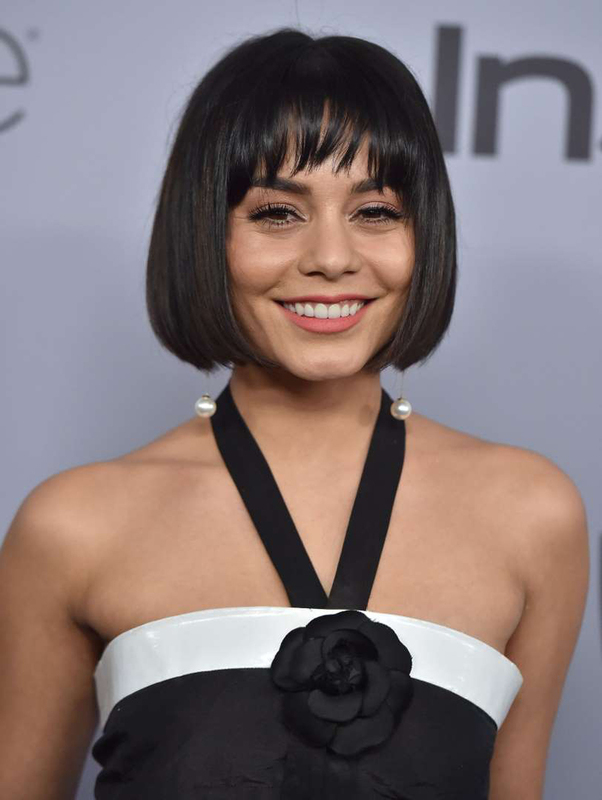 Vanessa Hudgens also opted for the blunt bob and fringe style, a look that she later grew out and wore with side-swept bangs. The actress and singer likes to experiment with her look, which has ranged from side-swept beachy waves to the sleek bob she debuted at the 2017 BET Awards. But, this look is a favorite with its face-framing shape and short fringe bangs. T-Swift debuted one of her most dramatic hair looks on the 2016 Grammys red carpet — a graphic bob with brow-skimming bangs. What’s not to love about the Dakota Johnson’s blunt bob with wispy bangs? The Fifty Shades of Grey actress wore the cut several ways — including pin straight and with her bangs pushed off her face — but this textured look was one to remember. If you have curly hair and have wanted to try a bob, then look no further than Kacy Hill, who paired her above-the-chin red locks with stylish arched bangs. 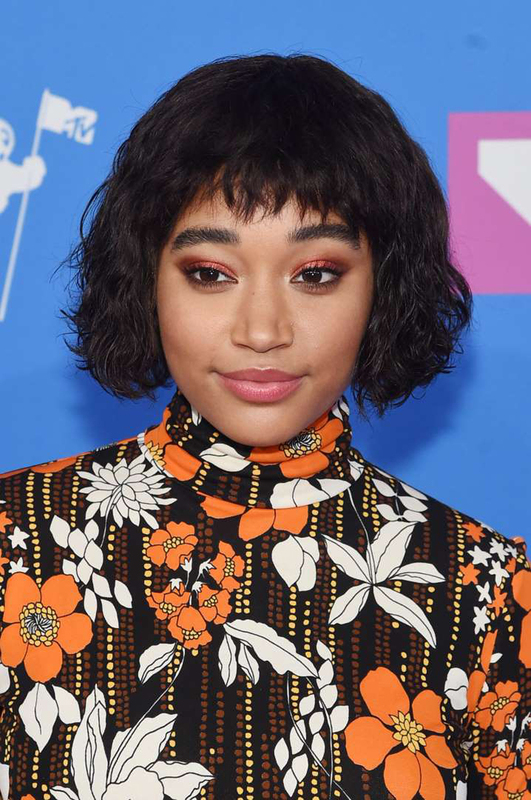 Bringing it home again with the textured bob, Amandla Stenberg opted for piece-y baby bangs to go with her chin-grazing look. 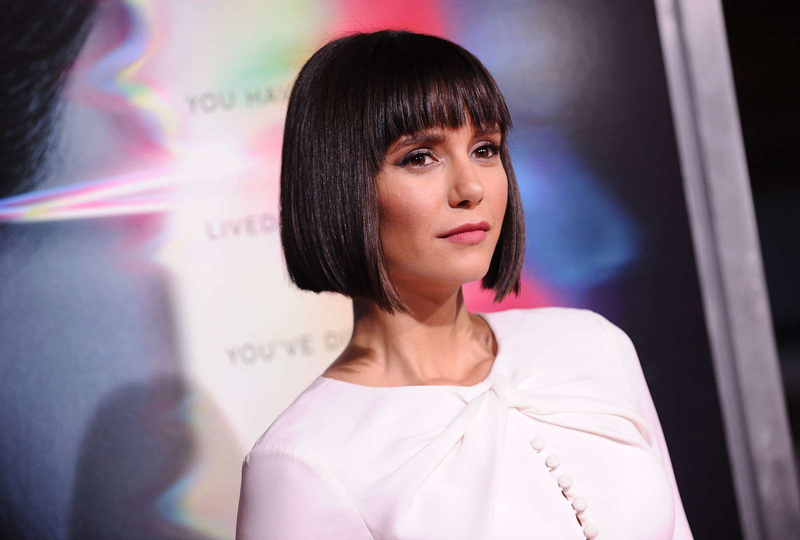 Hairstylist Riawna Capri dubbed Nina Dobrev’s razor-sharp asymmetrical bob with French bangs the “Nob” (a.k.a. the Nina-Bob). And, really, it’s no surprise — the look suits the actress so well that it practically belongs to her.